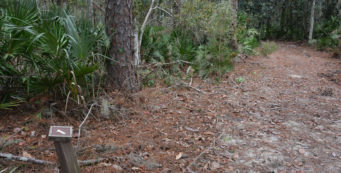 Hiking in Perry | Florida Hikes! 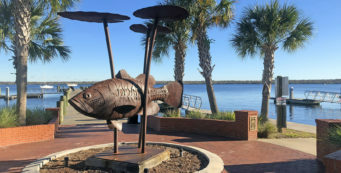 Long the heart of Florida’s timber industry, Perry is the county seat of Taylor County along Florida’s Big Bend, set within a coastal puzzle of swamp forests and estuary that is mostly timberlands. 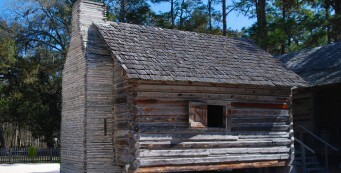 Timber companies removed vast tracts of virgin pines and cypress, and processed the harvest in two enormous timber mills. Farms blanket the higher, drier ground. 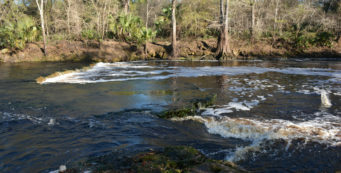 Econfina River State Park- Protecting nearly 4,400 acres where the Econfina River snakes its way to the Gulf of Mexico through the vast marshes of the Big Bend, Econfina River State Park is well off the beaten path. 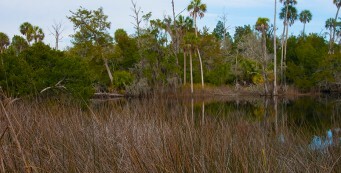 Florida Trail, Aucilla River- 9 miles. 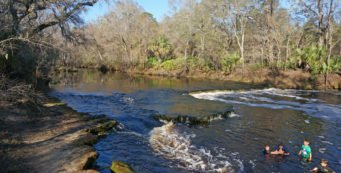 Endearingly scenic, surprisingly rugged in places, and unlike any other piece of the Florida Trail statewide, this trek along the Aucilla River showcases some of Florida's top natural features in one hike. 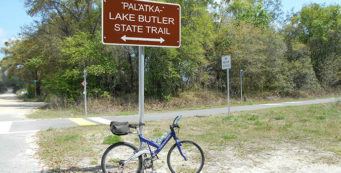 Florida Trail, Aucilla Sinks- 4.4 miles. 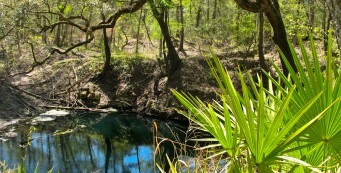 With dark waters reflecting against pockmarked limestone walls and a footpath winding through the most geologically weird piece of any National Scenic Trail, the Aucilla Sinks are the most fascinating segment of the Florida Trail. 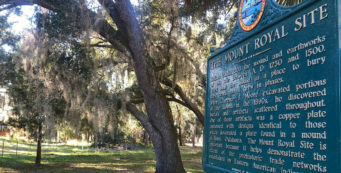 Forest Capital Museum State Park- To learn about the storied past of the forestry industry in Florida, stop in the Forest Capital Museum State Park, where one of the highlights is a pioneer homestead. 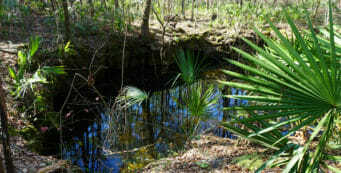 Lafayette Blue Springs State Park- Lafayette Blue Springs was an old swimming hole for folks in Mayo and the rural communities west of Live Oak, a hidden beauty spot along the Suwannee River that is now a state park. 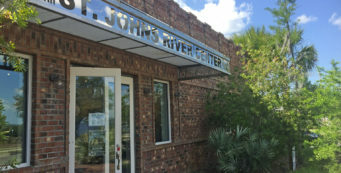 Steinhatchee Falls- The widest waterfall in Florida and a scenic stop in the Big Bend, Steinhatchee Falls is both geologically intriguing and an important piece of Florida history. 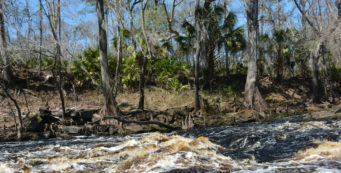 Steinhatchee Trail- Follow the 3.3-mile Steinhatchee Trail through wildflower-rich uplands for a spectacular finish at Steinhatchee Falls, Florida's broadest waterfall.